North Haven, CT – Mossberg®, an industry leader in firearms manufacturing and innovation, is pleased to announce recognition for their 590® Shockwave® 12-gauge pump-action with a National Rifle Association (NRA®) Publications Golden Bullseye Award. Presented by Shooting Illustrated magazine, Mossberg will be awarded the title of 2017 Shotgun of the Year for the 590 Shockwave during the 2018 NRA Annual Meetings & Exhibits, to be held in Dallas, Texas, on May 4th. Now in their 16th year, the NRA Publications Golden Bullseye Awards acknowledge the finest products available in the shooting sports. Winners are selected by a seven-member committee consisting of editors, graphic designers and veteran NRA Publications staff, representing more than a century of collective experience in the shooting and hunting industry. For consideration of a Golden Bullseye Award, the product must be recently-introduced and available to consumers; evaluated by a NRA staff member or regular contributor to the magazine; exceeded the evaluator’s expectations; be innovative in design and function; and styled in a manner befitting the shooting and hunting industry. Mossberg introduced the 590 Shockwave 12-gauge at the 2017 SHOT Show, accompanied by a determination letter from the Bureau of Alcohol, Tobacco, Firearms and Explosives (BATFE). With its 14-inch barrel and overall length of 26.37 inches, the 590 Shockwave is defined as a “Non-NFA Firearm” and requires no tax stamp for purchase. This compact 12-gauge has all of the features of Mossberg’s legendary pump-action platform combined with the latest innovation from Shockwave Technologies, their Raptor® pistol grip, and a strapped forend for improved handling. 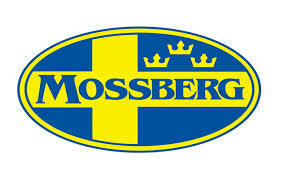 For more information, please visit www.mossberg.com.